CRM stands for Customer Relationship Management and CRM software is the suite of tools that facilitates and automates customer management and an ongoing relationship. Being a leading cloud communications advisor, we are in touch with literally thousands of people on a daily basis, helping answer questions, offering recommendations, facilitating price quotes and ultimately assisting them in making the right communications choice for their home or business. In addition to that bucket of prospective customers, we also work with hundreds of communications service providers to keep up to date on their products, features and prices. This combination of touch points makes it possible for us to provide the best advice and recommendations. It also makes managing all this a challenge, but that is where CRM software comes in and makes it a whole lot easier. Additionally, our pricing tools integrate with different CRM systems giving us a somewhat unique perspective on many of these solutions. What is CRM Software and why most Businesses need it? While Wikipedia certainly provides a comprenhensive description of what customer relationship management software is, simply listing some of the common features of CRM software should give you a good idea of what it is capable of. You’ve probably noticed from this list that you likely already have a tool, or use a service that already handles some of these features. While many of these are add-on modules with some solutions, many CRM software suites have grown to become all-encompassing management tools that facilitate every possible touch point with customers. That is likely a great thing for many prospective buyers, but may be completely overwhelming if you are looking for a CRM for a small business. Let’s take a look at some specific features that are becoming more commonly offered as part of a CRM system, while are also available as standalone services from specialist providers. While there still remains a line drawn in the sand between call center software services and CRM tools, this line appears to be getting thinner. Integrating these services will help improve productivity and streamline your processes, so make sure the CRM solution that you select integrates with any existing call center software, or vice versa. Features such as call recording, barge, whisper, monitoring and the logging of call details can not only help train your sales force, but also optimize your processes. For example, Zoho CRM supports a feature it calls RingBridge which allows you to make and receive calls from inside the CRM. This feature is enabled via integration with RingCentral, Promero, Twilio, Ringio, Zontel, Ozonetel, Talkdesk, Avaya, Elastix or Asterisk telephony systems. Although integrating with powerful telephony services is the norm, some CRM software systems already include fully integrated call center software in addition to regular business phone support. One such provider is Bitrix24. How is it possible to simply include this with the solution? The answer is that you will pay for calls on a per minute basis, with calls within the continental USA costing 1.5c per minute. It will also cost you between $6 and $11 per month to rent your phone number. This is often confused with CRM functionality and likely because many CRM’s are now offering this as a feature or an add-on module. There are many dedicated marketing automation tools such as those offered by Marketo, Infusionsoft and Act-on, in addition to the popular Pardot (now owned by Salesforce) and Oracle’s Eloqua. 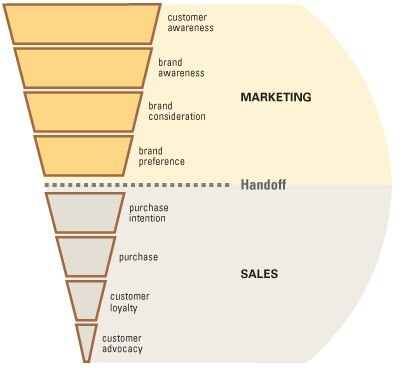 While marketing automation software stores similar information to a CRM, it is more related to top of funnel activity, while a CRM is more sales focused and used at the bottom of the sales funnel. It is easy to understand why some vendors are now offering these two tools as part of a single solution. Marketo has a great list of marketing automation features that you frequently will not find available in a CRM. Yet another feature that is typically a standalone software service but is now being integrated into some CRM tools. Zoho and Insightly are two examples of vendors that offer project management functionality as part of a CRM solution. Helpdesk software is no longer only available through providers such as Freshdesk or Zendesk. While call center functionality still requires integration with 3rd party software and services, some CRM providers are developing and offering their own helpdesk software as a product option. Check out our list of 10 of the best customer support software solutions to compare some of the most popular services. This functionality is either included as part of the customer relationship management software, or you can typically easily integrate with your existing service provider (iContant, MailChimp, ConstantContant, etc). Is a fully unified product going to save you money? Are you going to sacrifice access to features and specialist knowledge by not choosing a niche service? For example, how good is the email marketing software in CRM suites and can it beat a service such as MailChimp for price and features? Will it be less complex to stick with individual solutions while ensuring they can all be integrated? How much is your company willing to spend and how many users will need access to this system? It really is up to you. From our perceptive, and to compare this to the world of unified business communications, we are still on the fence with this transition. While these solutions are undoubtedly attractive to enterprises, they are often overkill for small companies. With so many vendors offering different products and features, selecting CRM software can be a very confusing process, and the amalgamation of different services just makes it more difficult. Decide what your business needs and then decide if you are better off with separate tools or a fully unified solution. We have already talked about the importance of 3rd party integration and cannot emphasize the importance of this enough. Like most software applications, it is going to be a painful challenge to switch providers down the road. So make sure the CRM you select supports integrations with other services that you currently use, or plan to use in the future. Most small businesses do not have access to full-time IT resources so we recommend avoiding the hassle of installing this software on-site. There are many solutions that are hosted by the service provider in the cloud and it will be much simpler for small businesses to select one of these options. Sales people are frequently on the road so make sure the software includes apps that enable real time information and connectivity to your databases. Well this is a no brainer but if you have experience using different solutions you will know that some are so loaded with features that they become very complicated to use. Not to mention that a lot of training is often required to setup, use and maintain some systems. This is the bread and butter of a CRM solution as you are most likely going to be using it to get prospects into your sales funnel, and track the performance of these leads. Powerful web forms can be invaluable to facilitate this, so take a look at what capabilities the system has in that area. Once you have a good idea of the features that you want, you need to consider your budget and what your business can actually afford. The good news is that there are some systems that are offered for free but of course, as is typical with these types of offers, free often translates to limited feature access. The logic here is that you get the opportunity to try the tool out, and then when you become dependent on it, you end up becoming a paying subscriber as you add features and users. 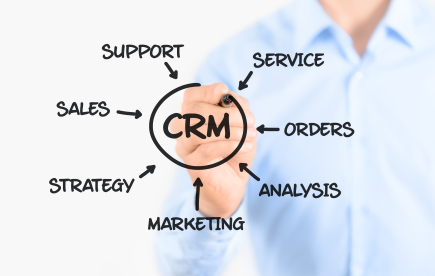 Here is a list of 10 solutions that currently offer a free CRM solution. While there are many CRM software systems for a small business to choose from, there is really no doubt that these solutions can make a huge difference in managing customer relations and in creating an effective and productive sales funnel. A great customer experience will typically lead to loyality, satisfaction, referrals and ultimately increased revenue and profit.